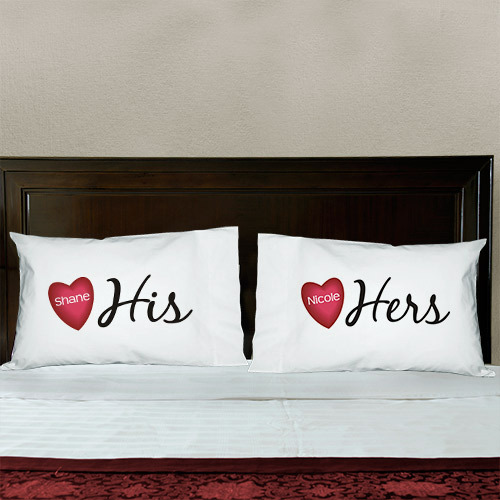 Pillow talk is much more fun with these personalized his and hers Valentine pillow cases. 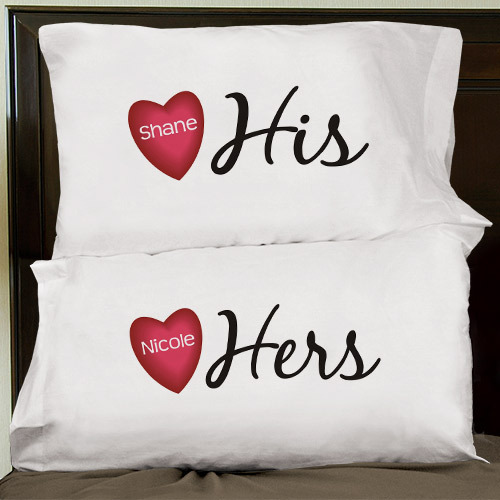 This custom couple's Valentine pillows set comes with two soft pillowcases — one for him and one for her — and each will be personalized with any name. Put them together, and you have a couple made with love! I got this for my daughter n her boyfriend, n they both really liked them. These turned out perfect! I can't wait to give them to my sister and new brother-in-law! Bought these for my boyfriend for Valentine's day, he loved them.